We find that the loan received by the assessee from Prakash Electronics System Ltd had been squared off by way of conversion of loan into equity in the sum of Rs 6,00,000/- was carried out by the assessee through book entries without any physical outflow of funds. It is usual business practice and is part of routine corporate debt restructuring exercise carried out by various banks and financial institutions, to give leeway to the borrowers / defaulters, to convert their existing loans advanced to the said borrowers into equity capital. This is done as a normal routine business practice in the market as part of business revival plans carried out by the lenders and Board of Industrial & Financial Reconstruction (BIFR) having jurisdiction over sick industrial companies registered under Sick Industrial Companies Provisions Act, 1985. In respect of External Commercial Borrowings (ECB) availed by an Indian company from a parent company in abroad, it is quite usual to convert the said loan into equity as part of restructuring exercise and increase in stake of the parent company in the Indian company. Even in such a scenario, the ECB loan gets converted into equity. Can it be said that the same is in violation of provisions of section 269T of the Act i.e repayment otherwise than by way of an account payee cheque or account payee draft ? The answer is an emphatic ‘no’. In the instant case, the loan has been borrowed from Prakash Electronics System Ltd in the earlier year and the same has been converted into equity during the year under appeal. Hence the genuinity of the said transactions cannot be questioned by the ld CITA. The said transaction cannot be considered to be in violation of provisions of section 269T of the Act. We hold that the assessee had properly explained the entire gamut of transactions together with its end use i.e for investment in co-ownership property. It was a conscious business decision taken by the assessee to use the amounts raised through share capital for investing in co-ownership property for the purpose of its business and the businessman (i.e. assessee) cannot be compelled by the revenue to conduct its business as per the whims and fancies of the revenue. It is well settled that the businessman knows his interest best and the point of commercial expediency had to be viewed from the view point of the assessee and not from the view point of the revenue. Hence the observation of the ld CITA that the assessee could have utilized the amounts raised through share capital from other sources to repay the loan to Prakash Electronics System Ltd would only tantamount to stepping into the shoes of the businessman and we hold that the said observation is not warranted, more so in the penalty proceedings u/s 271E of the Act. The business compulsions of the assessee warranting such conversion of loan into equity cannot be brushed aside simply as a matter of doubt merely because the shares were issued at premium. As stated earlier, the remedy available to revenue in such scenario is provided elsewhere in the Act as stated supra. These factors cannot contribute to confirmation of levy of penalty u/s 271E of the Act which is equal to the amount of loan repaid. 1. 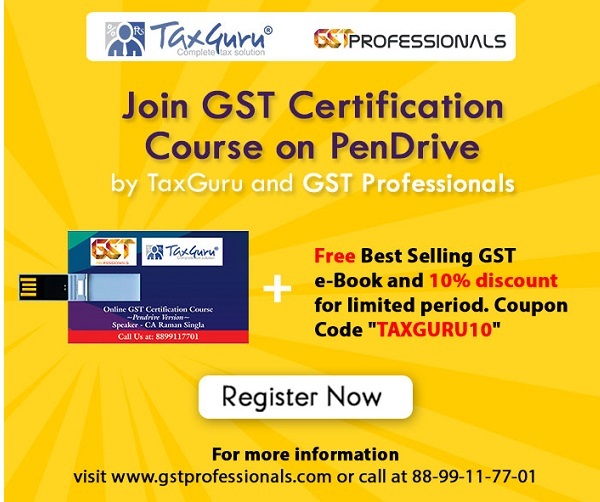 This appeal is directed by the assessee against the order passed by the Learned Commissioner of Income Tax (Appeals) – 15, Kolkata (in short the ld CITA) against the order passed by the Learned Additional Commissioner of Income Tax , Range -9, Kolkata (in short the ld AO) levying the penalty u/s 271E of the Act. 2. The only issue to be decided in this appeal is as to whether the ld CITA was justified in upholding the levy of penalty u/s 271E of the Act, in the facts and circumstances of the case. 4. The loan received from Prakash Electronics System Ltd amounting to Rs 6,00,000/-was squared off by way of allotment of 6000 equity shares of Rs 10 each with a premium of Rs 90 per share in the assessee company. In other words, the loan was converted into equity by way of book entry without any physical outflow of funds from the side of the assessee. The loan received from Shri Rajesh Bhutoria was squared up by sale of shares of M/s Hiton Indus Engg. Co. Ltd. The loan received from Shri G.P.Bhutoria was repaid in cash and is within the limit prescribed u/s 269T of the Act. 5. The assessee pleaded that the term ‘repayment’ mentioned in section 269T of the Act refers only to repayment in the form of money and does not apply to repayment in kind or through book adjustments. The ld AO observed that on examination of the balance sheet of the assessee company as on 31.3.2008, that the assessee has claimed loss in operation. It has a small turnover of Rs 77,210/-. The source of fund with the assessee is share capital of Rs 7.25 lacs , share premium of Rs 5.40 lacs and advance of Rs 4.65 lacs. The entire fund has been invested for acquisition of co-ownership property amounting to Rs 15.68 lacs. The ld AO further observed that the co-ownership property has been mortgaged with Haryana Financial Corporation, Chandigarh as the additional security against the sanction of loan of M/s Perfect Gold India Ltd, Jaipur. The assessee has raised fresh funds of Rs 4.89 lacs in the form of share capital and a sum of Rs 4.65 lacs by way of advance against property aggregating to Rs 9.54 lacs. Repayment of loan of Rs 6.76 lacs could have been made using this amount of Rs 9.54 lacs by observing the provision contained u/s 269T of the Act. Interestingly, this fund has not been utilized for the business of the assessee but has been utilized to acquire property and the same has been mortgaged to the bank for the benefit of an allied company. There was no compulsion on part of the assessee to utilize the fresh funds for its own business. Accordingly, the fresh funds could have been utilized for repayment of outstanding loan. The ld AO observed that the plea of the assessee that it did not had fund to repay the loan and therefore, it was under compulsion to square up the outstanding loan by way of conversion into equity in case of Prakash Electronics System Ltd and by way of transfer of shares in case of Shri Rajesh Bhutoria, is factually incorrect. The ld AO observed further that the assessee had not also brought any material on record to prove that it was prevented by any reasonable cause for failure to observe the provision contained u/s 269T of the Act and therefore would not get the benefit u/s 273B of the Act. With these observations, the ld AO levied penalty of Rs 6,70,875/- u/s 271E of the Act in respect of loan of Prakash Electronics System Ltd ( Rs 6,00,000/-) and Shri Rajesh Bhutoria (Rs 70,875/-). 7. The ld CITA held that the transactions of conversion of loan into equity in the sum of Rs 6,00,000/- in the instant case are not genuine and accordingly upheld the levy of penalty u/s 271 E of the Act by reiterating the same findings of the ld AO. However, he deleted the levy of penalty u/s 271E of the Act in the sum of Rs 70,875/- which was repaid by way of sale of shares. 1. Because that the Ld. Commissioner of Income Tax(Appeals) was erred in law as well as in facts in upholding the initiation of penalty proceedings u/s 271E by the Ld. Additional CIT, Range-9, by issue of show cause notice dated 29thMarch, 2011, and as such his conclusions are based on his surmises and conjunctures and are contrary to the facts and material on record and provision of law. 2. Because that the ld. Commissioner of Income Tax(Appeals) was erred in law as well as in facts in upholding the levy of penalty u/s 271E by the ld. Additional CIT, Range-9, vide his order dated 13the May, 2016, served upon the assessee on 4thNovember, 2016, and his such conclusions are based on his surmises and conjunctures and are grossly unjustified, erroneous and unsustainable, and are contrary to the facts and material on record and provision of law. 3. Because that the ld. Commissioner of Income Tax(Appeals) was erred in law as well as in facts in upholding the conclusion of the ld. Additional CIT, Range-9, that, “the assessee has not brought any material on record to prove that it contained u/s 269T. It therefore does not get any benefit u/s 273B of the Act”, and his such conclusions are based on his surmises and conjunctures and are grossly unjustified, erroneous and unsustainable, and are contrary to the facts and material on record and provision of law. 4. Because that the ratio of the judgment as relied upon by the ld. Commissioner of Income Tax( Appeals) is his order are distinguishable on facts and on point of law and as such not applicable. 5. Because that the Ld. Commissioner of Income Tax(Appeals) was erred in law as well as in facts in holding that, the conduct of the company is not genuine and bonafide and as such the levy of penalty u/s 271E to the extent of Rs. 6,70,875/-is confirmed, and his such conclusions are based on his surmises and conjunctures and are grossly unjustified, erroneous and unsustainable, and are contrary to the facts and material on record and provision of law. 6. The appellant craves leave to add further grounds of appeal or alter the grounds at the time of hearing. 9. We have heard the rival submissions. We find that the entire gamut of transactions of raising of share capital with premium during the year, receipt of advance against property and the utilization thereon for investment in co-ownership property was duly explained by the assessee before the ld AO at the time of scrutiny assessment of quantum proceedings. The assessee had duly placed all the relevant data in this regard before the ld AO. Hence the bonafide intention of the assessee in placing all facts on record cannot be doubted with at all in the instant case. The transaction with regard to increase in share capital has been examined by the ld AO in the assessment proceedings at the time of disallowance of fees paid for increase in authorized capital. After this examination, the ld AO in his wisdom had not proceeded to make any addition towards the share capital. Hence it could be safely concluded that the transactions of receipt of share capital and share premium has been accepted as bonafide and genuine by the ld AO in the assessment. While this is so, then how can the very same transaction could be treated as ingenuine and not bonafide for the purpose of levying penalty u/s 271E of the Act alone. Even assuming that the receipt of share capital with premium of Rs 90 per share is not genuine, still the revenue had not taken any action on the assessee to treat the same as unexplained cash credit u/s 68 of the Act. The powers of the ld CITA are co-terminus with that of the ld AO. The ld CITA while adjudicating the penalty appeal, having come to a conclusion that the receipt of share capital with premium by the assessee was not genuine and bonafide transaction, ought to have triggered the Administrative Commissioner of Income Tax to initiate proceedings u/s 263 of the Act, which was not done in the instant case and which fact is not disputed by the revenue before us. There are adequate precautions provided in the statute to take care of situations like this i.e by reopening the assessment u/s 147 of the Act by the ld AO or by having recourse to revisionary proceedings u/s 263 of the Act by the ld CIT. 9.1. We find that the loan received by the assessee from Prakash Electronics System Ltd had been squared off by way of conversion of loan into equity in the sum of Rs 6,00,000/- was carried out by the assessee through book entries without any physical outflow of funds. It is usual business practice and is part of routine corporate debt restructuring exercise carried out by various banks and financial institutions, to give leeway to the borrowers / defaulters, to convert their existing loans advanced to the said borrowers into equity capital. This is done as a normal routine business practice in the market as part of business revival plans carried out by the lenders and Board of Industrial & Financial Reconstruction (BIFR) having jurisdiction over sick industrial companies registered under Sick Industrial Companies Provisions Act, 1985. In respect of External Commercial Borrowings (ECB) availed by an Indian company from a parent company in abroad, it is quite usual to convert the said loan into equity as part of restructuring exercise and increase in stake of the parent company in the Indian company. Even in such a scenario, the ECB loan gets converted into equity. Can it be said that the same is in violation of provisions of section 269T of the Act i.e repayment otherwise than by way of an account payee cheque or account payee draft ? The answer is an emphatic ‘no’. In the instant case, the loan has been borrowed from Prakash Electronics System Ltd in the earlier year and the same has been converted into equity during the year under appeal. Hence the genuinity of the said transactions cannot be questioned by the ld CITA. The said transaction cannot be considered to be in violation of provisions of section 269T of the Act. We hold that the assessee had properly explained the entire gamut of transactions together with its end use i.e for investment in co-ownership property. It was a conscious business decision taken by the assessee to use the amounts raised through share capital for investing in co-ownership property for the purpose of its business and the businessman (i.e. assessee) cannot be compelled by the revenue to conduct its business as per the whims and fancies of the revenue. It is well settled that the businessman knows his interest best and the point of commercial expediency had to be viewed from the view point of the assessee and not from the view point of the revenue. Hence the observation of the ld CITA that the assessee could have utilized the amounts raised through share capital from other sources to repay the loan to Prakash Electronics System Ltd would only tantamount to stepping into the shoes of the businessman and we hold that the said observation is not warranted, more so in the penalty proceedings u/s 271E of the Act. The business compulsions of the assessee warranting such conversion of loan into equity cannot be brushed aside simply as a matter of doubt merely because the shares were issued at premium. As stated earlier, the remedy available to revenue in such scenario is provided elsewhere in the Act as stated supra. These factors cannot contribute to confirmation of levy of penalty u/s 271E of the Act which is equal to the amount of loan repaid. 9.2. In view of the aforesaid findings in the facts and circumstances of the case, we hold that the levy of penalty u/s 271E of the Act is not justified and accordingly deserve to be deleted. Accordingly, the grounds raised by the assessee are allowed. 10. In the result, the appeal of the assessee is allowed.